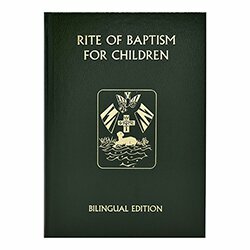 The Rite of Baptism For Children (Bilingual Edition) includes all the texts in English and Spanish for the Rite of Baptism for One Child and for Several Children. 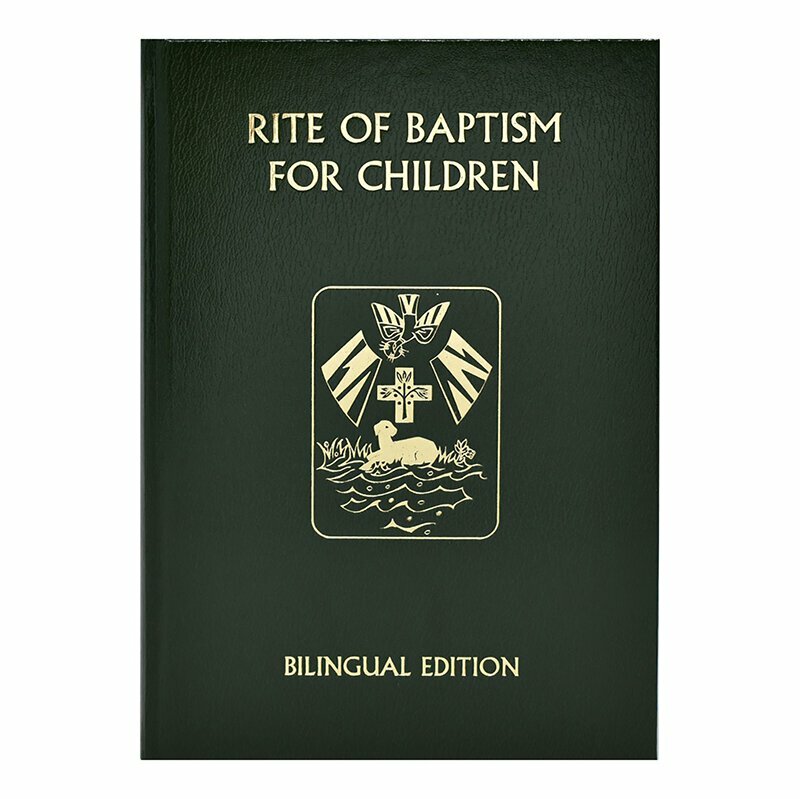 It also contains an introductory section featuring valuable information about Baptism and the Rite, including Norms for Baptism, an Index of Scripture Readings for the Rite, suggested hymns, and guidelines for planning the ceremony. 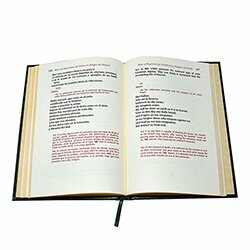 Printed in two colors with the people's parts set in boldface type, this participation book makes the Rite for this important sacramental milestone easy for all participants to follow. Bound in an attractive, green hardcover with gold-stamped lettering and artwork.